That is the most common question we hear and now you can learn why you should visit us sooner rather than later. Visiting the pediatric dentist within the first 2 years of your child’s life can help benefit their psyche and early dental needs. Many fears stem from parents or family member’s negative experience at their dentist. 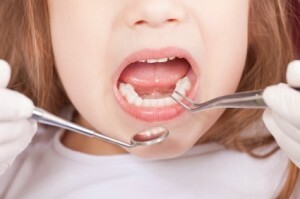 The sooner a child can familiarize themselves in a dental home, the less anxious they will be for future appointments. It also gives us a chance to speak with care takers about good oral hygiene for the child, and we address habits and diets that can benefit them. Also, if an emergency arises, you can rest assured it will be a short phone call before you are taken care of at your established dental home. Cavities are holes made in teeth from bacteria. 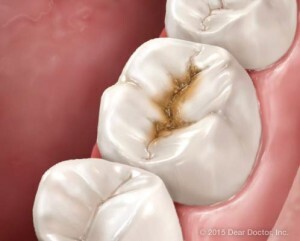 The longer you wait to treat those cavities, the greater the chance that bacteria (sugar bugs as we like to call them) will affect other teeth. As children begin losing baby teeth, they enter a ‘mixed dentition’ phase, where they have both permanent and milk teeth. If baby teeth have untreated cavities, that bacteria can spread to permanent teeth and could ‘make holes’ in them as well. Baby teeth differ from permanent teeth because their enamel (the thick outer white covering we see) is much thinner. Cavities tend to grow and spread much faster than they do in permanent teeth, so it is important to get them treated as soon as they are diagnosed. Infections spread quickly in children from their mouth to their necks and brains and cause abscesses and cellulitis (swelling of cheek and neck from infection) which are emergency situations. 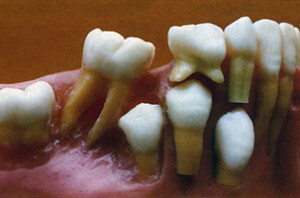 Losing a baby tooth due to cavities before it should naturally fall out can cause problems for the permanent teeth. 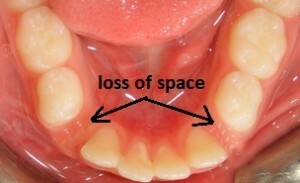 It can lead to space loss in the child’s mouth and the natural eruption of permanent teeth. While no one can predict if your child will need braces, preventing early tooth loss will benefit your child in the future. Remember, you can never start too early! Visit www.zpdentistry.com for more information about our office or call 832.321.7151 if you have any questions. Author Z Pediatric DentistryPosted on March 24, 2016 January 15, 2018 Categories Baby Teeth, Cavities, Dentistry, Space Loss3 Comments on Why should I take my child to the dentist?